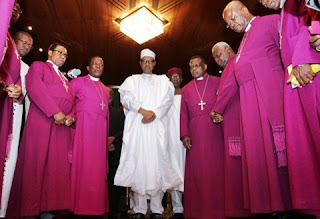 The Catholic Bishops' Conference of Nigeria (CBCN) says President Muhammadu Buhari has not kept to his commitment to "national integration and cohesion" promised Nigerians in his inaugural discourse on May 29, 2015. This was contained in a communique issued by Ignatius Ayau Kaigama, president of the CBCN, toward the finish of a meeting in Taraba state. The bishops said the inability of the central government to address the inequitable situation in the nation has brought about a breeding ground for violent reactions, challenges, and agitations. "In his inaugural discourse as civilian president of Nigeria on 29 May 2015, the president conveyed a message of expectation and of his commitment to national integration and cohesion," communique read. "More than two years after the fact, the reality on ground and the verdict of the greater part of our kin the country over – irrespective of religious affiliation, ethnic gathering or social status – point to the contrary. The inability of the government to address the inequitable situation in the nation has provided breeding ground for violent reactions, dissents and agitations, which exploit the grievances of different sections of the nation. "We call on government at all levels to earnestly address these anomalies, evacuate everything that bears a resemblance to injustice, and give everybody and all aspects of our nation a feeling of belonging. "We insist that merit and ability ought to be the primary criteria in making appointments and genuine needs the criteria for the distribution of amenities. We likewise encourage the government to be constantly sensitive to the multi-religious and multi-ethnic configuration of the nation." The bishops expressed concern that the sending of soldiers could increase "the apprehension among the masses with the potential of igniting a fire that could transform into an uncontrollable conflagration". "On the other hand, we enjoin all aggrieved persons and groups to employ peaceful means within the framework of the existing laws of the land to express their grievances or even exercise legitimate pressure on the Government. Care must be taken by all to avoid actions and utterances capable of causing yet another armed conflict in the nation or any of its parts."